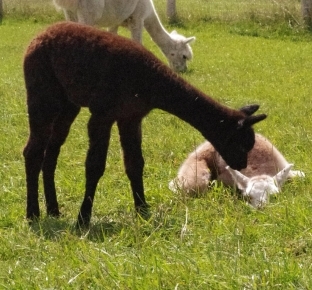 Yazhi seems to pick the cria's colour, her 2018 male cria is another beautiful bay black, sired by our terrific silver grey herdsire Amirror. 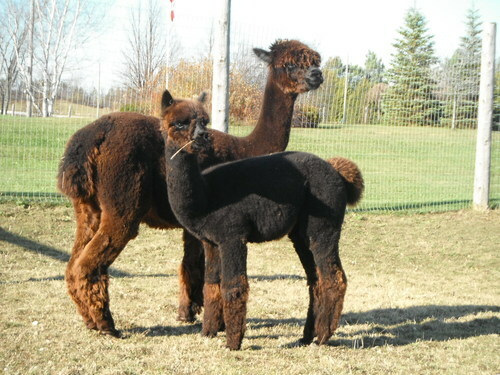 Yazhi is a very special alpaca and probably Carolyn's favourite female alpaca. 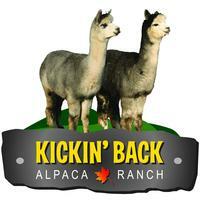 Until she was bred Yazhi was the first alpaca to greet our farm visitors. She is still extremely calm and laid back, nothing seems to bother her. We have taken Yazhi to visit a couple of the local nursing homes; the residents were just delighted with her. Yazhi was often stubborn about leaving as she loved the attention. She has also attended Reading Club at two local libraries and the Flesherton Farmer's Market. 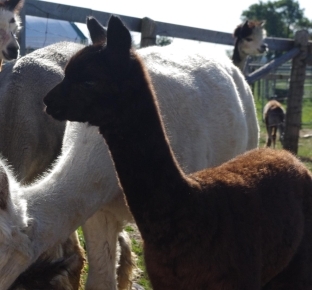 We hope she passes on this personality to her crias. Now Yazhi is content to stay at home with the other moms. Yazhi's black fibre is very dense and very soft. Her cria fleece was wavy, her second fleece had a much more defined crimp to it. 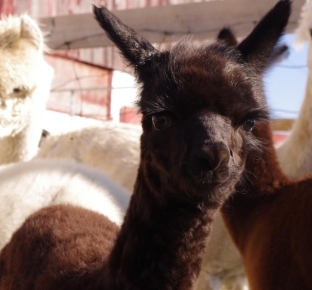 Yazhi means "little one" in Navajo, she weighed 15.4 lbs at birth, the smallest of our crias that year. She is still a bit smaller than the others.